You guys, I am totally harboring a slightly-creepy obsession with the critically acclaimed Lupita Nyong'o. I am so in awe of this Kenyan beauty. She carries herself with such ease and sophistication... It's no wonder she's been springing up on all sorts of magazine covers. Sometimes up-and-coming actresses have no idea how to style themselves on the red carpet and are still trying to figure out what works for them, but not Lupita. Girlfriend has got everything under control, and I am fairly sure that she can do no wrong. Besides her impeccable fashion game, her makeup game is on point. She is not afraid of experimenting with color, and with her beautiful ebony complexion, she can pull off some of the most daring looks. I really love how she likes to experiment with her makeup, so this post is dedicated to all of you beautiful dark-skinned ladies. 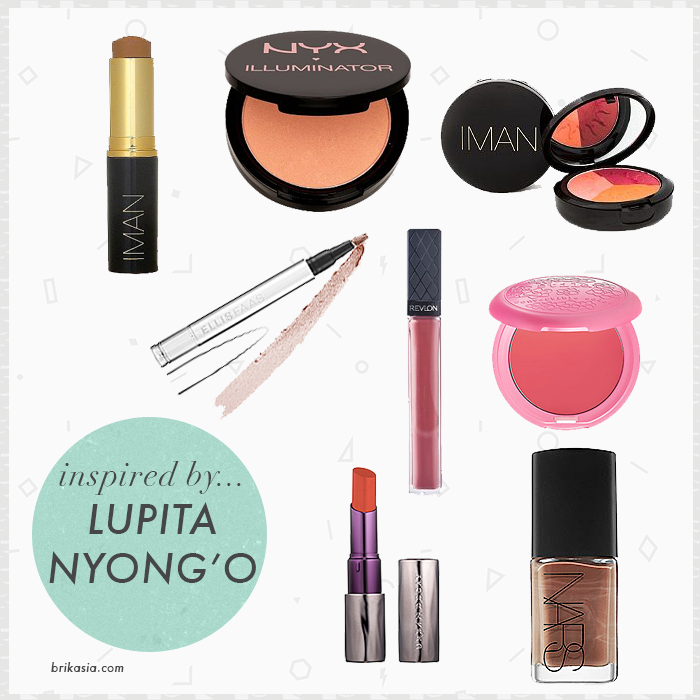 Inspired by previous makeup looks Lupita has worn on the red carpet, I have compiled a list of products (both drugstore and high-end) that will work for darker complexions. 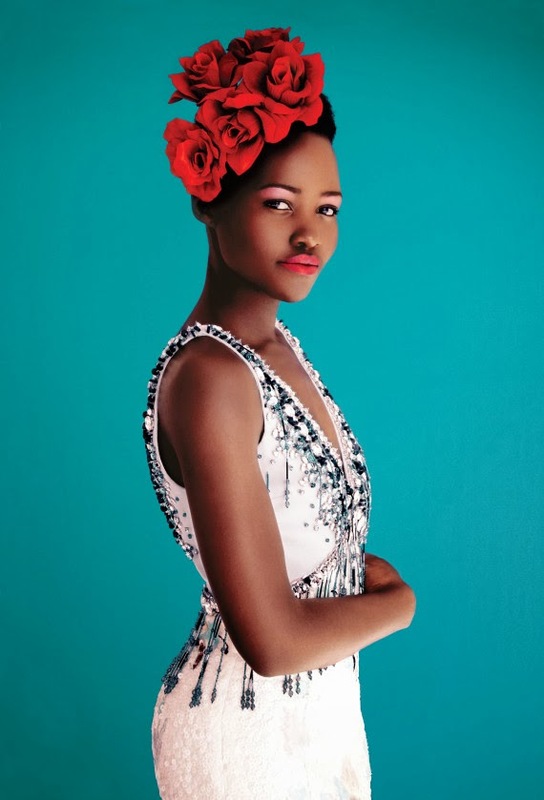 Anyone else obsessed with Lupita like I am? Let's be creepy together in the comments! She is so gorgeous and always looks amazing. I still haven't seen one of her movies, but she has been blowing up the red carpet. Same! I'm dying to see 12 Years a Slave, I heard she was fantastic in it. I love NARS Sheer Glow foundation too. The websites that gives us the latest entertainment news usually get high number of visitors. That is primarily because celebrity gossip is something that almost all of us rejoice in.